Mohagen Hansen Architecture | Interiors was selected to provide full service architecture and interior design services for a new 24,000 sq. ft. Memory Care Facility located in Plymouth, MN. The facility includes 30 memory care resident rooms and is divided into two neighborhoods on the east and west sides of the building. Each neighborhood has single and double occupancy rooms and a centralized care station. At the center of the building is a large Great Room, Sun Porch, Activity Room, Dining Room, Media Room, Small Gathering Alcoves and a Salon/Spa. The design team paid special attention to the siting of the facility to ensure that residents can take full advantage of views to the outside. Plymouth is a progressive community that maintains abundant parks and green space. 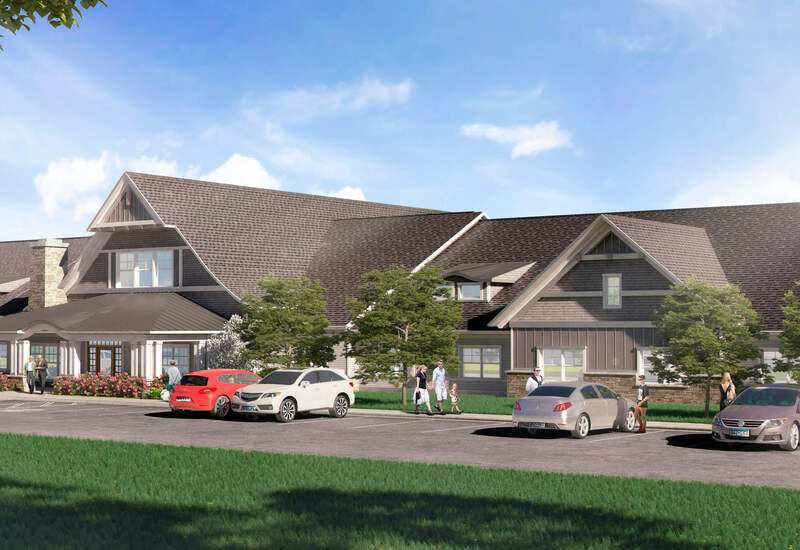 The location of this facility will offer opportunities to enjoy a fenced in outdoor patio or the ability to watch children at play at a park across the street, which is proven to be a valuable experience for the aging population.